Small companies pay more for 401(k) plans because of the costs of setting up and administering the plans. (Bloomberg Business) — How good is your retirement plan? This Bloomberg data visualization lets you figure that out by comparing your plan to those offered by the largest companies in the U.S. If you work at a small company, you’re likely to have a lousy 401(k). Small plans often charge savers fees five or six times as great as those workers at large companies pay. But it’s no longer necessary for workers to be stuck in these high-cost 401(k) plans. Cheaper plans are rapidly signing up new employers and 401(k) fees for even the smallest businesses are plunging. Smaller companies pay more for 401(k) plans because of the costs of setting up and administering the plans. These companies don’t have the option of spreading the costs out over thousands of workers. Smaller businesses are also less likely to have an employee who knows how to set up a 401(k). The same person who chooses the retirement plan provider may be doing payroll or ordering supplies. They might have no idea of how to pick a fund provider. If you don’t think two percentage points will make a big difference to your retirement, check the math. Say you invest $10,000 in a 401(k) that returns 6 percent a year, in a plan with a 1 percent fee. Two decades later, you’ll have $26,000 in the plan. In a plan that charges a 3 percent fee, you’ll wind up with just $17,440. Business owners might pay more attention to these fees if they were coming directly out of the company coffers. Instead, the fees are often passed on to workers in the form of higher mutual fund expenses. “If it’s not affecting your company bottom line, you don’t pay attention to fees,” said Eric Droblyen, president of Employee Fiduciary, a 401(k) provider started in 2004. Employee Fiduciarycharges the company a flat annual administrative fee of $1,500 (which can be passed on to the employees), for companies with up to 30 employees, plus 0.08 percent of assets. Small businesses now have more cheap options because some players — both large investment companies and smaller firms like Employee Fiduciary — are finding more efficient ways to set up their plans. Technology can make administering the plans much easier than in the past. And these low-cost 401(k) providers are embracing simplicity. Rather than spending time setting up a custom plan for each small business, business owners can go online and pick a simple default option. Ubiquity Retirement and Savings, for example, offers an “Express(k),” a basic plan that charges a flat fee starting at $105 a month. A more customized plan starts at $175 a month. Ubiquity is still relatively small, serving about 85,000 employees, but it has doubled its revenue since 2010. The giant index fund provider Vanguard Group has also gotten in on the small business 401(k) market. Its small- business 401(k) offering, Vanguard Retirement Plan Access, was started in 2011. “We noticed that small businesses were underserved and getting overcharged,” said Crystal Hardie Langston, the head of the program. Last year it more than doubled in size, from 60,000 to 130,000 participants. The price of Vanguard’s plans can vary, but a hypothetical plan with $1 million in assets and 25 participants might pay about 0.5 percent a year in administrative fees, the firm said. Shopping around for a 401(k) plan can still be confusing, because there’s no standard way that providers describe their fees. In high-priced plans, the administrative costs of setting up the plan are often included in the mutual fund fees. That makes it hard to figure out how much of your fee is ultimately going to the adviser who set up the plan and how much is going to the funds that manage your investments. Low-cost providers like Vanguard, Ubiquity, and Employee Fiduciary generally try to be more transparent, with administrative and investment fees charged separately. But there is still a variety of ways those administrative fees can be charged — as flat fees, as a set fee for each employee who participates, or as a percentage of assets. Droblyen suggests business owners compare plans by focusing on the total dollar amount in fees they and their participants would pay each year. Competition from lower-cost 401(k)s seems to be having an effect. 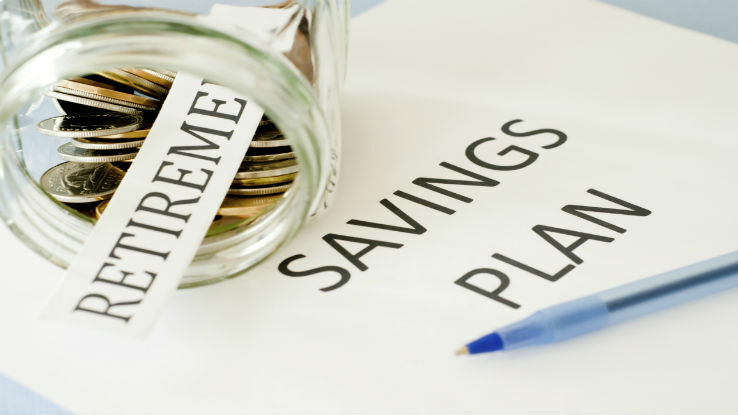 According to a December report from BrightScope and the Investment Company Institute, total plan costs for plans with less than $1 million in assets fell 20 percent in three years: Small-401(k) costs fell from an asset-weighted 2.04 percent in 2009 to 1.64 percent in 2012. That’s still pricey. In the same period, the costs for plans with more than $1 billion in assets fell 12.5 percent to an asset-weighted cost of 0.28 percent a year.